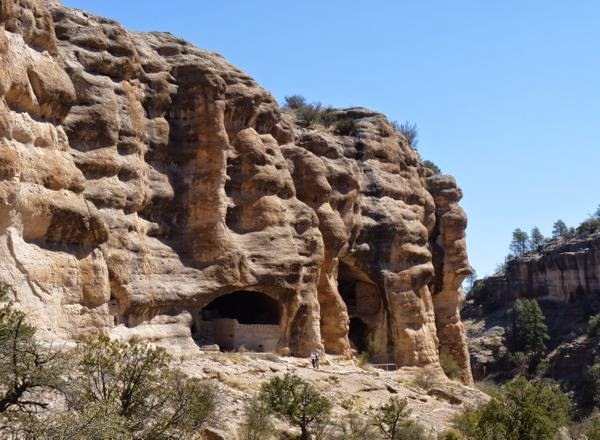 Way up in the mountains of southwest New Mexico is Gila Cliff Dwellings National Monument. 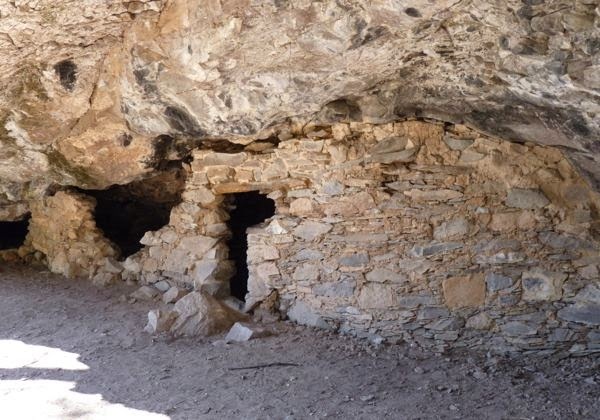 These are some well preserved rock and adobe housing built into caves set in a high cliff. This was one of the places I really wanted to see. 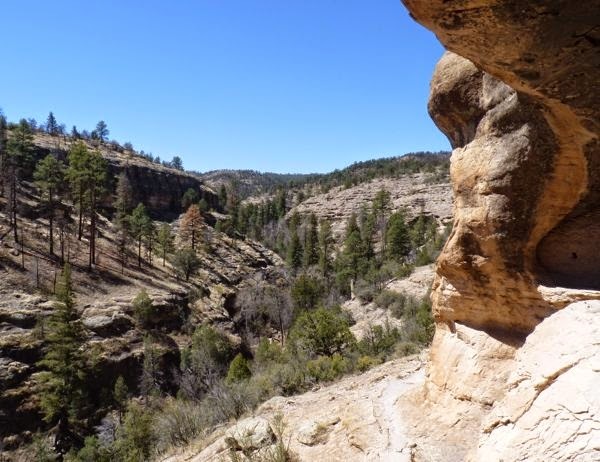 The hike up was easy, along a stream that flowed at the base of the dwelling cliffs. The choice of location was ideal; near water, easy to defend, south facing cliff for warmth in the winter, and shade in the summer, and the forest for hunting. The Gila River flows nearby, where they planted crops and could fish. 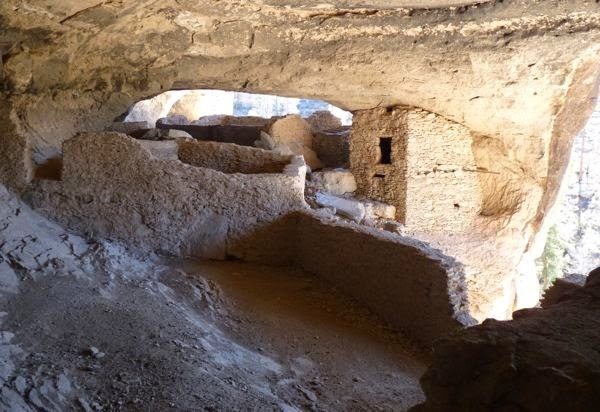 They built in six adjoining caves with rooms, storage and work areas. The Mogollon people stayed for only twenty years or so. It was a lot of work for such a short period. Why they left is uncertain; but probably drought and better opportunity elsewhere. 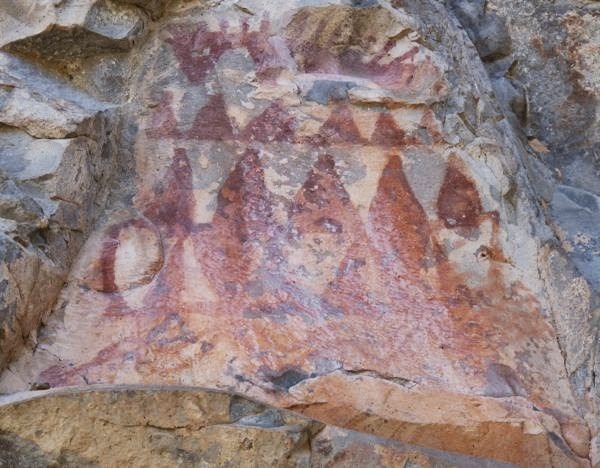 There was another site called Trail to the Past which took me to some ancient rock paintings on the face of a cliff. 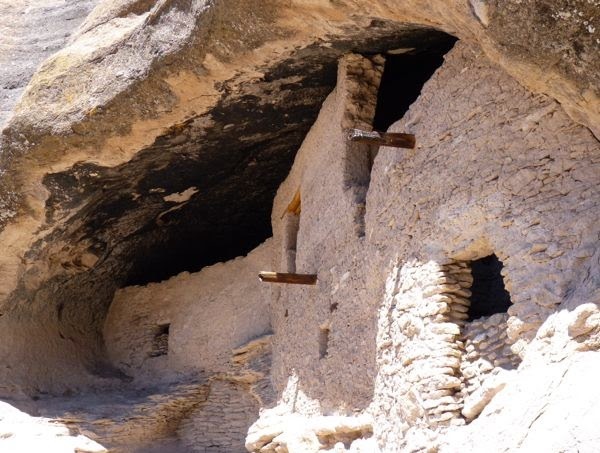 And, a small cliff dwelling up a little canyon nearby. 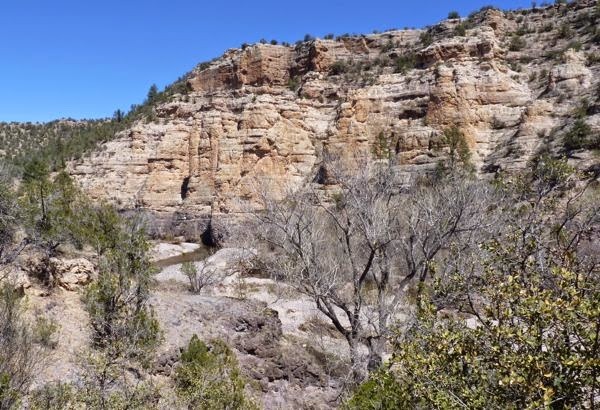 My free camp was on a bluff overlooking the Gila River with a view of the tall cliffs on the other side. As a side note, the legendary Apache leader Geronimo was born along this river. A peaceful campsite, but no internet signal way out there. It’s a nifty place; glad I was able to see it.